Welcome to Quaternio Editions Lucerne! Quaternio Editions Lucerne invite you to go on a bibliophile journey of discovery through various periods of Western book illumination, ranging from the 6th to the 16th centuries. Indulge in gold, silver and intensely vibrant colours! Be enthralled by the resplendent imagery of magnificent medieval and Renaissance manuscripts, and be delighted by the great artistry displayed in book format. Experience the most beautiful masterpieces of book illumination in facsimile editions which are true to the original and meet the highest quality standards! Medieval illuminated manuscripts have an air of magic about them. They captivate the viewer with their colourful miniatures and initials, their vivid border decorations, their sparkling gold backgrounds with fine tooling, their brightly shimmering shell gold, their original details and the frequently surprising creativity in their composition and representation. The images are replete with engaging details: craftsmen who use their traditional tools on a medieval construction site, the precious robes of noble ladies and princes alongside peasants’ tunics, palatial architectures and elegant town houses, and scenes from jousting tournaments and rural everyday life. Looking at the pages, the viewer is continually amazed at the exceptional expressiveness, refinement and ingenuity of the book illuminators and scribes. They are worthy of great admiration for their expertise and craftsmanship in preparing the writing support materials, writing implements, brushes, inks and pigments. Furthermore, it is equally important to understand the underlying mentality which gave rise to these masterpieces among illuminated books. At the time of their origin, medieval illustrated manuscripts were usually accessible only to an exclusive circle of users. Today, these unique cultural treasures are still virtually inaccessible to the public. When they are exhibited, the viewer can barely admire more than an opened double page or the closed book. In libraries, repositories and safes are opened only for select scholars with a well-founded research interest. Gaining access to very fragile and famous manuscripts is correspondingly more difficult, and the benefit of a facsimile all the more significant. The facsimile allows for the original to be securely preserved, while its contents and imagery are made accessible to anyone who is interested. 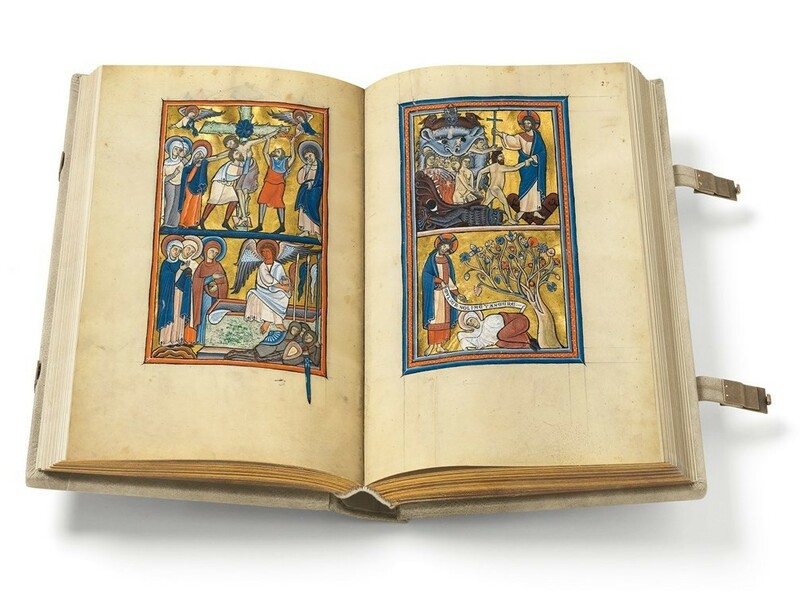 With the exception of the inaccessible original, only a facsimile meeting the highest quality standards of reproduction can afford the viewer the opportunity to sense the aura of a medieval manuscript and to experience book illumination at first hand. Down to the smallest detail, a facsimile made by Quaternio Editions Lucerne is a faithful reproduction of an illustrated manuscript from the Middle Ages or the Renaissance. In the facsimile edition, the focus is on the authentic reproduction of the colours, the gold and the evidence of ageing (the patina), the correct dimensions and the defects of the pages, as well as the binding which is reproduced true to the original. The elaborate, material-intensive and time-consuming production of a facsimile is a fascinating interaction between state-of-the-art techniques and traditional craftsmanship. 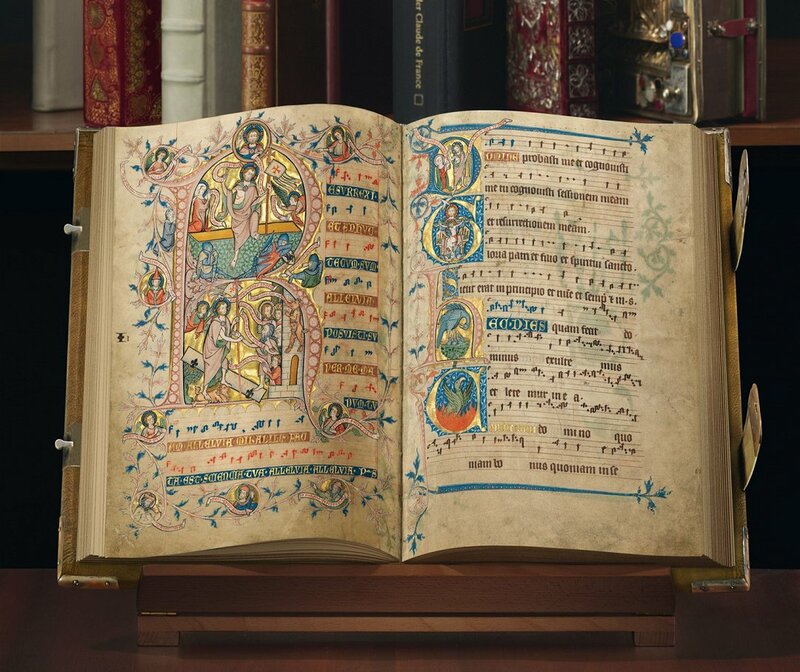 Because they are authentic copies of the original manuscripts, facsimile editions can take their viewers on a journey to the wonderful world of medieval imagery. Be enchanted with the wealth of the book illumination, and of the gold, silver, precious pigments and the finest tooling! 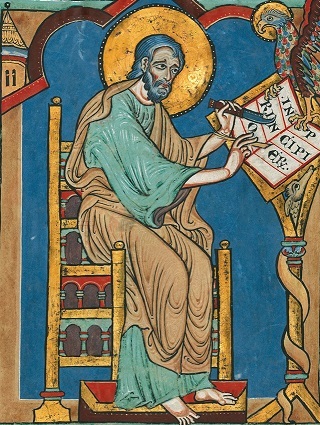 Numerous artistic details open a window on everyday life in the Middle Ages, which the book illuminators naturally included in their pictures. Marvel at the magnificent decoration elaborately applied to these masterpieces! Allow yourself to succumb to this special fascination! 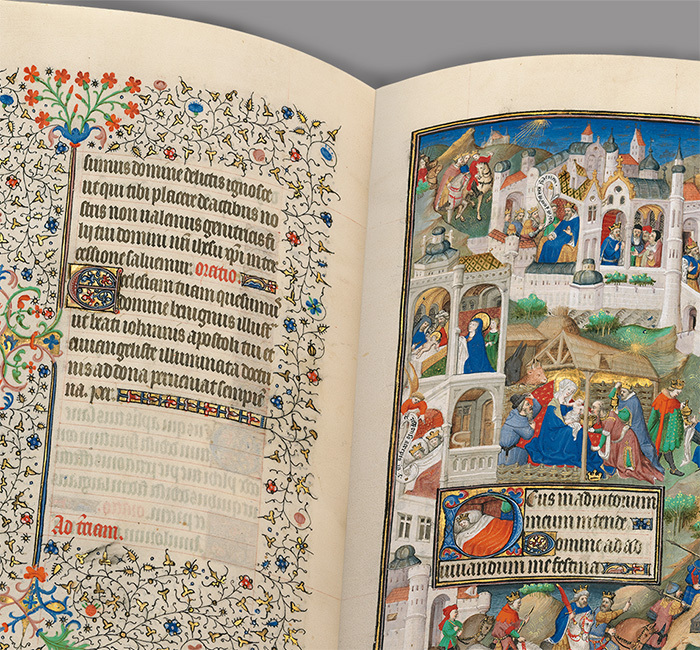 Facsimile lovers can continuously enjoy browsing through the manuscripts at their leisure and delight in viewing the overwhelmingly beautiful miniatures, the originals of which have only been accessible to a few people. Book illumination and manuscripts are likewise the keys to all the other project areas of Quaternio Editions Lucerne. Bibliophile art books, i.e. monographs devoted to outstanding manuscripts, are published by the Book & Art Editions. 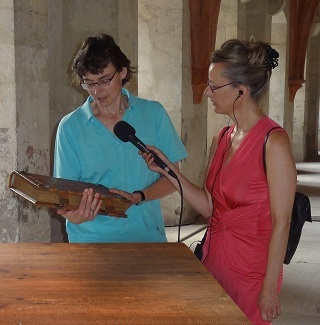 Exhibition catalogues issued by Quaternio Editions Lucerne record the manuscripts exhibited and cover related medieval subjects. 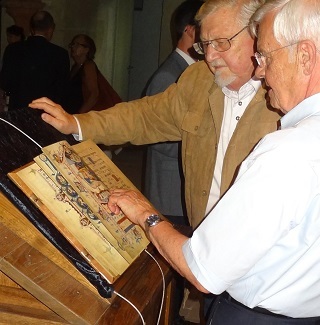 Events (book presentations, lectures, exhibitions, workshops) organised by Quaternio Editions Lucerne provide you with scholarly and well-founded information about the facsimile manuscripts and their contexts. On these occasions, you can peruse the volumes at your leisure and meet and talk with other book lovers. 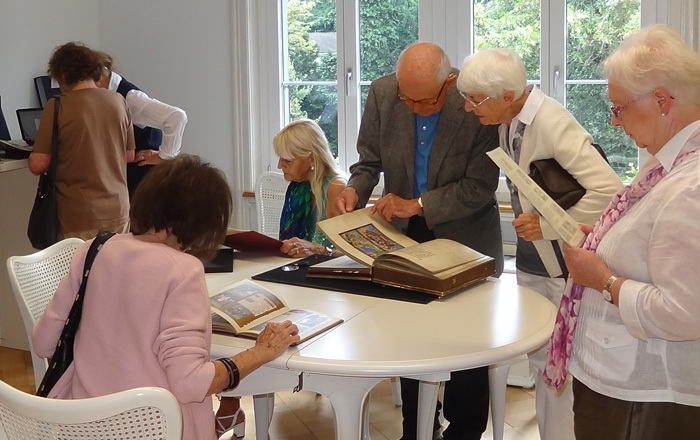 Our newsletter will keep you regularly informed about exhibitions, events and our current releases of facsimiles and art books. 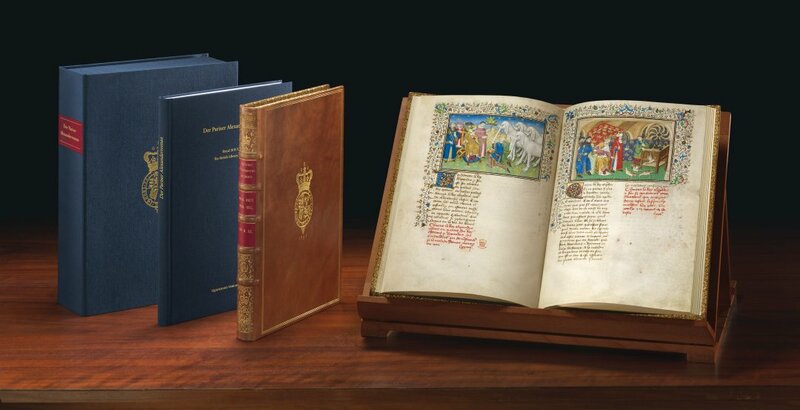 It is the passion and the motive force of Quaternio Editions Lucerne to discover the most beautiful medieval treasures and to make the fascinating imagery of these books available to all who are interested. Please contact us, if you have any questions, special requests or criticisms.